2701 E. Beltline Ave. S.E. Let this Hawthorn Suites by Wyndham Grand Rapids, MI hotel be your home away from home. This hotel is just minutes from the airport and next-door to shopping and restaurants. 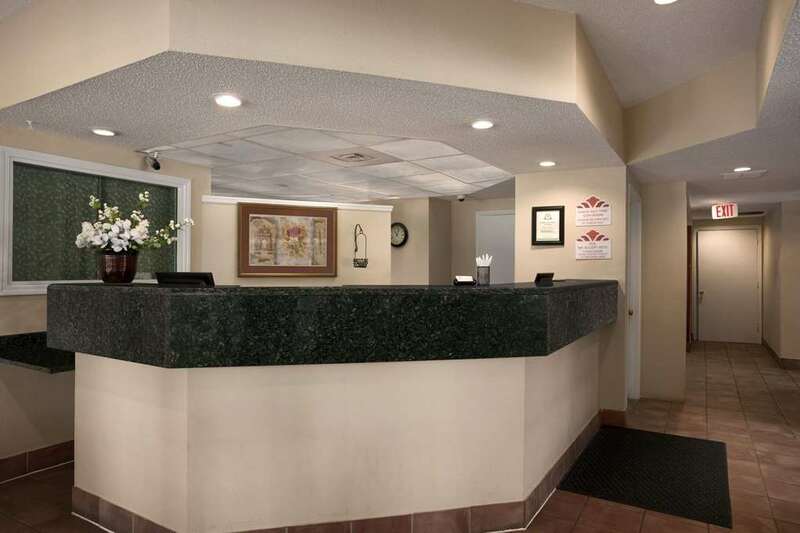 Pets are welcome at this hotel, which features complimentary wireless Internet and complimentary breakfast, and also offers laundry facilities, outdoor pool, sports court and fitness room. Unpack and stay a while in the spacious rooms and suites, all of which come with stove, microwave, refrigerator and dishes, and some of which come with two bedrooms, two stories and fireplace for cozy evenings. Mingle with your friends and colleagues at the social hour Mondays through Thursday, and take care of business in the business center, which offers complimentary wireless Internet access, computer access, printing, copy and fax service. Parking is available for cars, trucks and buses and RVs, and there is no charge for kids through age 17 staying with adults. Must be 21 with a valid ID to check in.